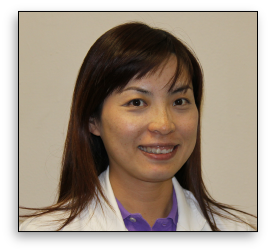 Pei-Yu Shih, PT, DPT, serves the company as a staff Physical Therapist. Dr. Shih received her bachelor degree from the National Taiwan University in 1996, and her advanced doctoral degree of Physical Therapy from New York University in 2009. During her 10 years experience in clinical physical therapy, Dr. Shih served as the chief physical therapist at several outpatient clinics in Taiwan. She works extensively with patients with orthopedic injuries, chronic pain, and neurological disorders. Dr. Shih joins ARC since 2009 and provides specialized physical therapy service in pain management for outpatient in ARC.